Humanity is under threat... and no one is concerned. The Earth Federation has survived countless invasions, civil wars, and ruthless dictators. After centuries of war and bloodshed, one more invasion shouldn't make any difference. But how do you fight an enemy that can't be killed? As civilization falls apart, four people must brave the impossible. Miranda, the scientist, searches for the enemy and the key that might save humanity. Ivan, the fighter pilot, seeking to warn anyone who will listen of the coming danger. Amanda, the politician, trying to keep civilization together long enough to fight back. And who is Vin Dane, the mysterious colonel who can bring these four together? 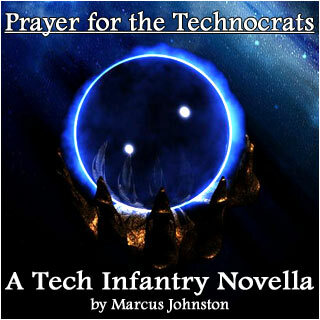 This novel is the missing chapter in the Tech Infantry universe, uncovering the mystery in humanity's finest hour, and discovering the real story behind the legends. ...or, take it with you!